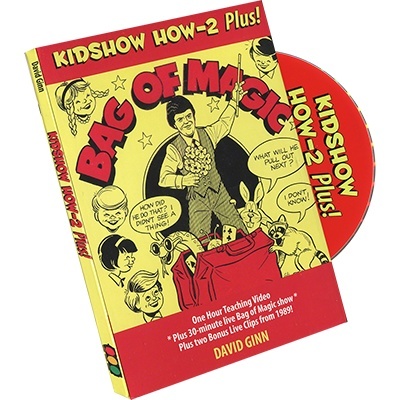 Bag of Magic is a live classroom show from 1991, featuring Clapping Hands, Man in the Moon, Purple Orange Eater, How to Knit Sox, Shrinking Gloves, Super Bunny, Picture Frame Fishing, Comedy Linking Rings, Picnic Surprise, and the Really Big Shoe Trick. BONUS footage on the DVD shows David Ginn doing the Wilting Flower and Dancing Hank on Australian TV in 1989! 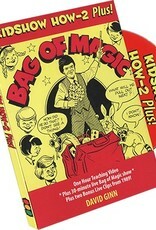 You’ll have fun & learn LOTS watching this DVD!